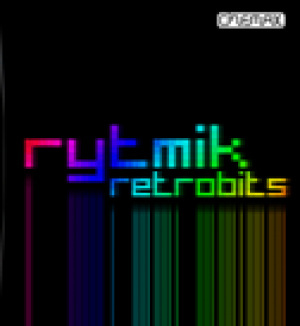 Cinemax's Rytmik series is about to welcome its fourth release with Rytmik Retrobits in the near future, so the studio's put together a website showcasing the DSiWare music app's various flavours. The Rytmik Collection site also contains links and videos of some of the highest rated songs created by users of DSiWare downloads Rytmik, Rytmik: Rock Edition and Hip Hop King: Rytmik Edition. There's even a song from the upcoming Retrobits, which we've embedded below. Rytmik Retrobits is released in Europe tomorrow, with a North American release to follow. That is Awesome! I am a huge fan of Cinemax now! YEAH RETRO! Nintendo is basically dead in my country. Small amount of people buys their stuff. So i am glad seeing czech company that actually sells an awesome stuff for Nintendo. I love Rytmik, it helped me make some great songs. This edition might be worth picking up and love the site! A retro song creator? Count me in!!! Think I'll download this. Shame the Rytmik apps take sooooo many blocks up. Very poor show by Nintendo not to sort out a storage solution for DSiWare. This actually sounds pretty good. 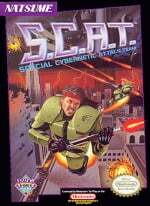 I was going to hold off for zen pinball, but I just might get this instead. Cool! Might get this, if I get a 3DS. I don't think I've ever had this much anticipation for something that's not a game. Shame that a release date still isn't available for North America, though I will wait patiently. Cinemax has announced that the game will release THIS year, so there's some hope. And my god, the Retrobits sample songs are amazing. Oh well, as long as this turns out great and I can make killer 8-bit music it's cool. Day one buy. I went to link one of my songs, and was surprised to see a few of my creations were already there! This is an awesome idea. Now if they can just make it possible for me to save my songs as MP3's/AAC's on the SD card, I'll be really happy. Cinemax the movie channel is making videogames now? SD card support can be incredibly useful, for example, saving songs directly onto an SD card would conserve much-needed 3DS/DSi space. Having virtually unlimited storage to use, consumers would be encouraged to experiment with Rytmik's many features without fear of using up what little space we're given by Nintendo's handhelds. That's just a suggestion, though. I'm still going to buy Retrobits with or without SD card support. But on a more serious note, I absolutly love Rytmik! I have the original and Rock edition. This is almost a dream come true! I can't wait until this comes out! The only thing thes apps. were ever missing was an online posting thing, similar to Flipnote Hatena. Oh well, it isn't a huge loss. I'm still super psyced! Edit: @x-145: #16 - It sounds like she is actually saying lcd(as in lcd screen). I also hear the words "zero", & "one". I can't make out all of it. It's cool anyway. I must have listened to this about 5-10 times in the past few days. That's how cool it is to me. "It's funny. I can hear my voice. I'm happy. I like dancing. Indeed, I have no choice." Then after the harder to make out second verse, "next level". @2:11 - "My chip is digging down. Just hold me please" Sounds like anyway. @18: to say the truth, the voice in this remix is not made in Rytmik:) Although there are some voice samples in Retrobits. But major part of the song is - it is my remix of song BIT18 included in Rytmik Retrobits. Hello, it's funny. I can hear my voice. I'm happy and I like dancing. Indeed, I have no choice. My chip is ticking down. Just hold me please. You have nice CDs. Give me drink zero-one and you will see love on my LCDs.